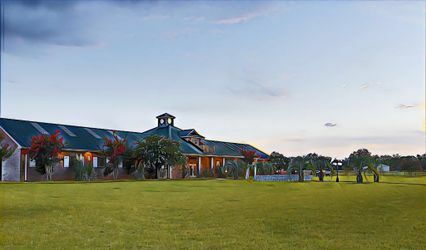 As the mother and father of the bride, we found Double J Farms to be the complete package for our daughter’s wedding. The venue provided support staff and a wedding coordinator all familiar with what the venue offered leading up to and including the day of the wedding. 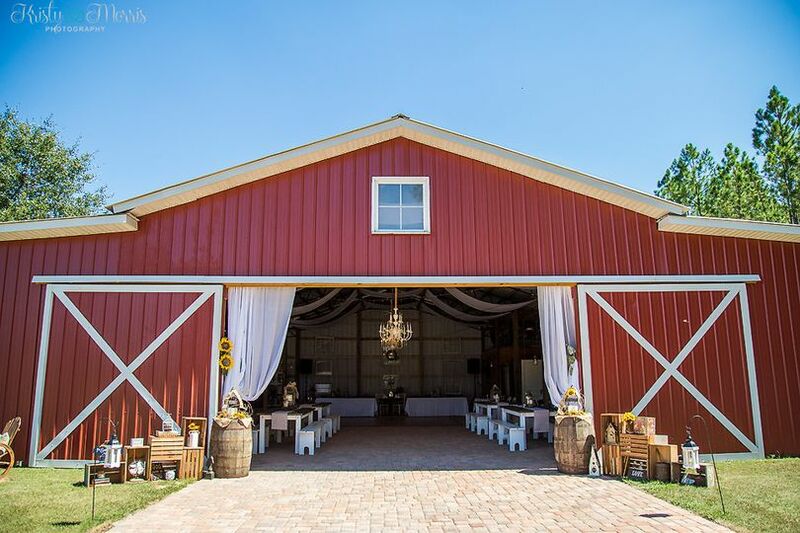 This working farm provides a country setting that is rustic but still elegant. 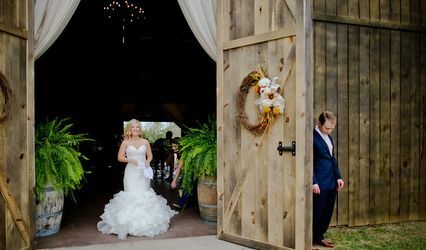 Our daughter’s wedding accommodated 170 guests all able to fit inside the barn for the reception. The bride and groom took pictures after the wedding while the guests enjoyed cocktail hour playing corn hole, horseshoes, giant checkers and a lovely photo booth outside the barn. 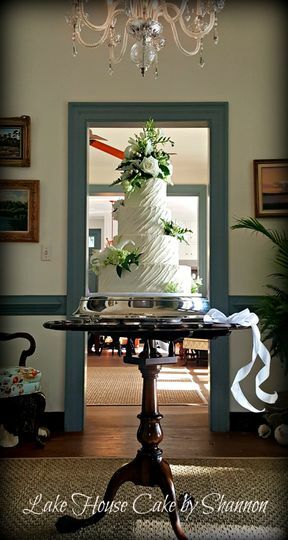 The carriage house main room is a beautiful lodge like setting with wood walls and ceilings and a large country fireplace in and of itself a lovely place for a small celebration. There are separate rooms for the groomsmen and bridal party. Each large room has a bathroom and elegant shower. The bridal room even had a steamer which many of the bridesmaids used to get last minute wrinkles out of their gowns. A bonus is the large kitchen area in the carriage house to aid with reception food prep and planning. 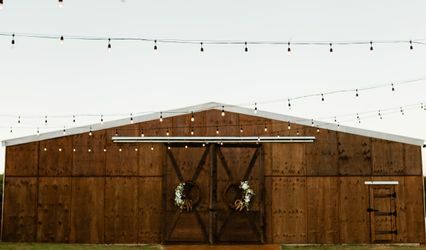 The staff handled the complete set up and helped with the breakdown of the bridal provided decorations under the supervision of the highly experienced wedding coordinator Shannon. 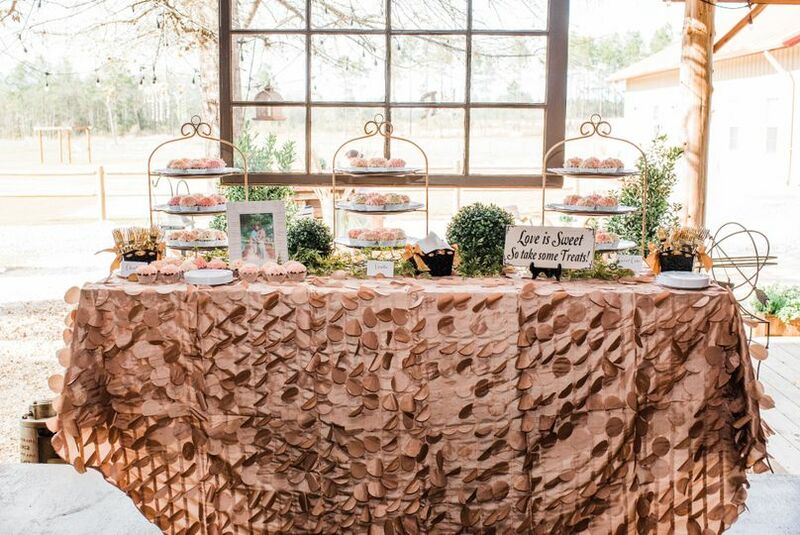 Shannon met every need that we requested and went above and beyond insuring that the stress level on the day of our daughter’s wedding was kept at a minimum. 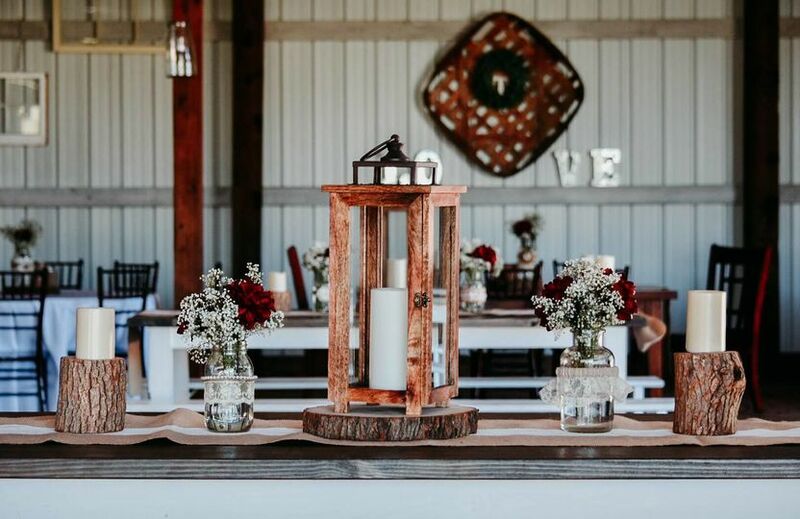 One of the strong points of this venue is the inside dance floor accommodating the partying guests while the outside fire pit provides a quieter atmosphere for conversation. 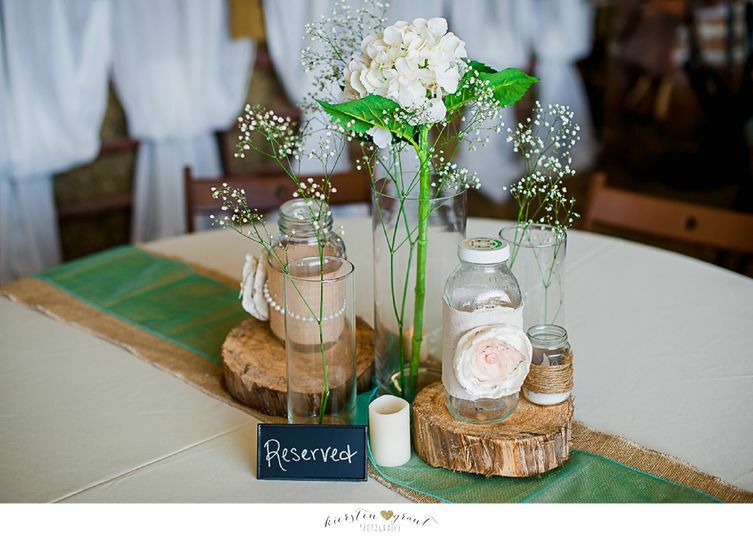 Wedding signs, slogans and decorations abound at this lovely venue. We only received positive accolades from our attending friends and family. We highly recommend that you visit and give strong consideration to this venue as you plan your wedding. I cannot write enough good things about this venue. 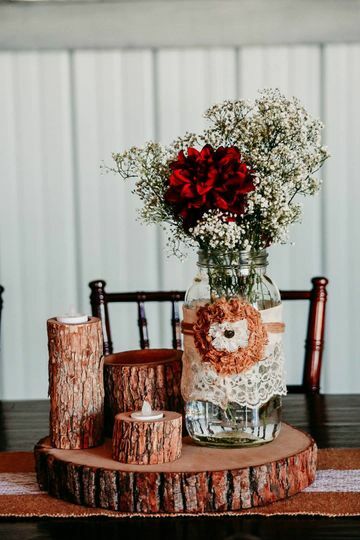 They provide everything down to the DIY projects every bride finds on Pinterest and exclaim 'I want that at my wedding!' but either don't have the time or don't have the talent to create. Additionally, they were so accommodating towards my love for horses that they allowed me to ride their's into the ceremony. Talk about an entrance! They also provide a wedding coordinator, Shannon, who treats you like a princess all evening and directs you were to go, what to do, fixes your hair, fixes your makeup, and is like your guardian angel when guests don't listen. 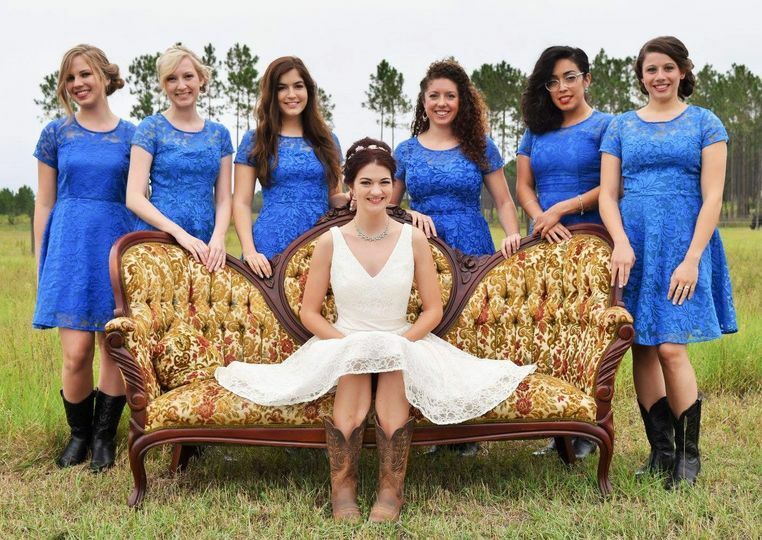 I am so sad my day is over, but I hope every bride is able to have an experience like I had. 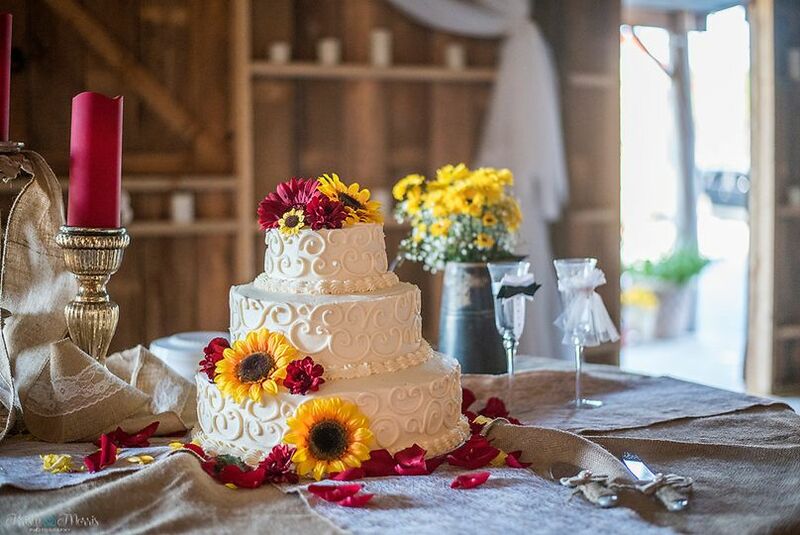 We got married December 5, 2015 at Double J Farms and it was absolutley perfect!!! They had every thing I was lookin for on my checklist AND they set it all up for us!! They did an amazing job and the place was gorgeous! 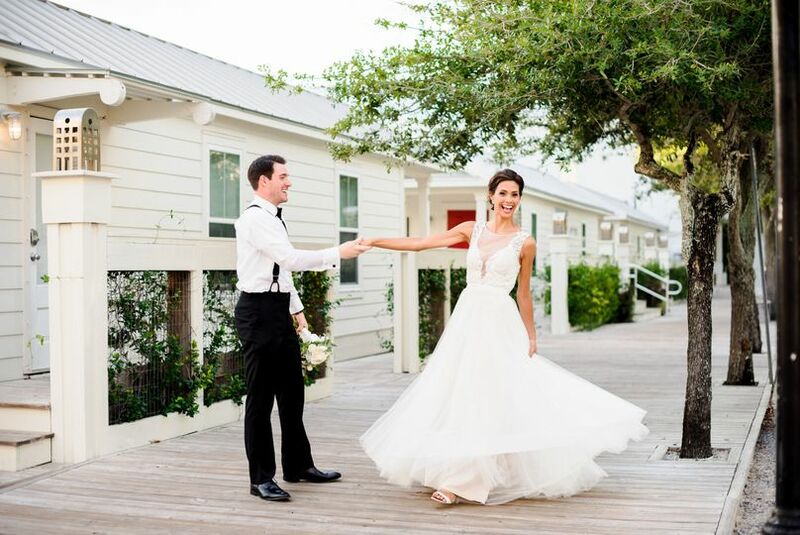 We got a million compliments on everything and so many guests said they wished they had gotten married there! Both Rohnda and Shannon were so helpful and fun, they made us feel like part of the family! We have a 2 1/2 year old boy and they both scooped him up at multiple points during the reception so that we could enjoy ourselves! 5 stars is not enough, they made our whole expierience perfect!!! 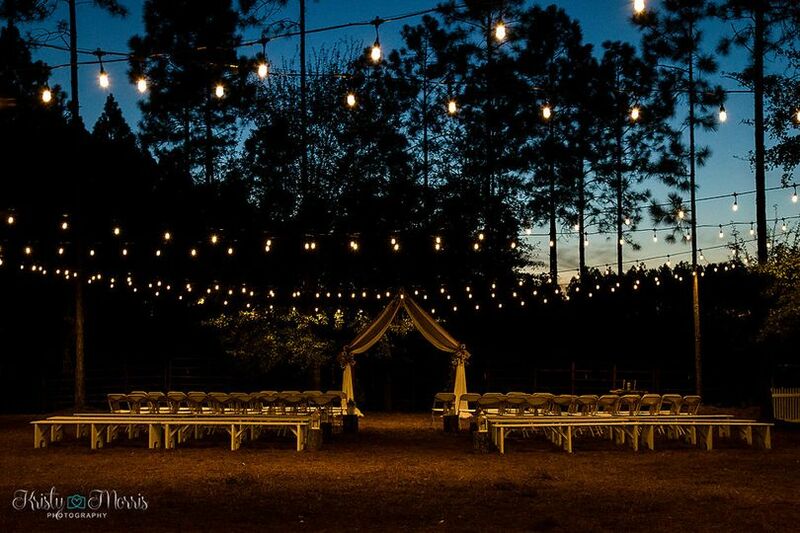 Beautiful rustic venue! 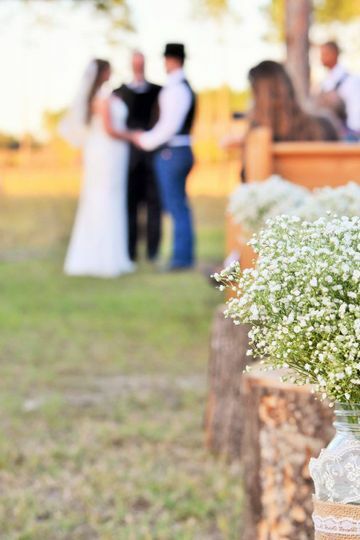 The perfect setting for your country wedding!